People are always asking me what my favorite subject is for a photo... I must say I tend to like faces - People, animals, even insects!! Landscapes and flowers generally bore me. I have seen a few that 'wow' me - but those are the exception!! I especially like to capture personality! Sea-gulls are fun cuz they are so NASTY! Babies are fun - cuz, well, they are babies and who doesn't like babies? LOL. 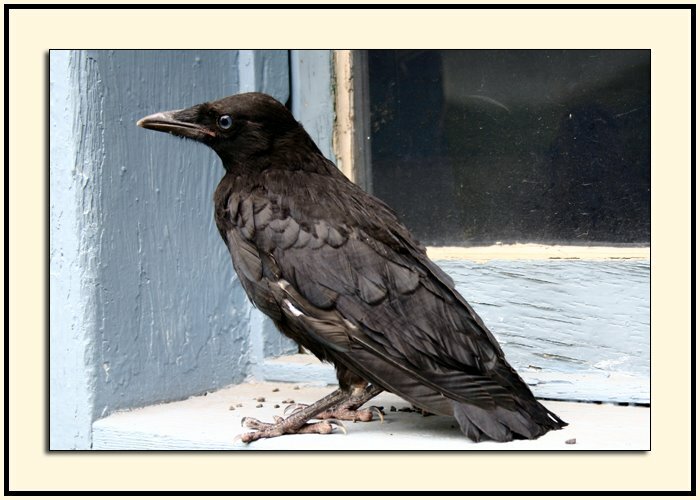 We found this crow on our front porch last summer, squawking up a storm! (And pooping too! YUCK!!!) He was obviously injured cuz I chased him around for a while snapping hundreds of pix and he never flew away. I had him cornered here - up in our basement window sill. LOL. Anything for a picture. That's my motto! 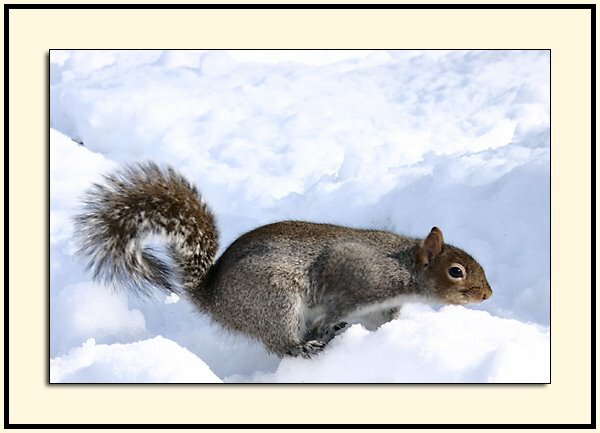 My mom and I went over to Seneca Park last winter with a bag of peanuts. Before long we had several hungry squirrels. They got their peanuts and we got our pictures. It was a BLAST!!! I have a little testimony to go along with this picture... 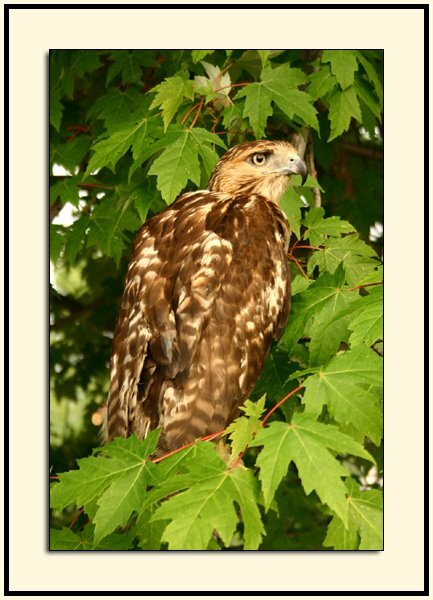 I was at church and found this hawk perched up in the branches directly above my van. I was kinda bummed because I didn't have my camera with me. When I drove off I thought for sure that I would scare him away, but he didn't budge! Later that evening I had to head back to church for a Bible study. This time I brought my camera with me - just in case!!! And on the way to the church I prayed that the hawk would still be there. AND HE WAS!!!! :) I parked RIGHT UNDER THE BRANCH that he was perched on, climbed up onto the roof of my van, and snapped away!! Right after I had packed away my camera and had gone into the church he flew off!!! God is so good! And really does care about the little things!!! !